Nettie Frederick Romager was preceded in death by her husband, Ivy Romager, Jr and daughter, Diane Swindle and three of her siblings. 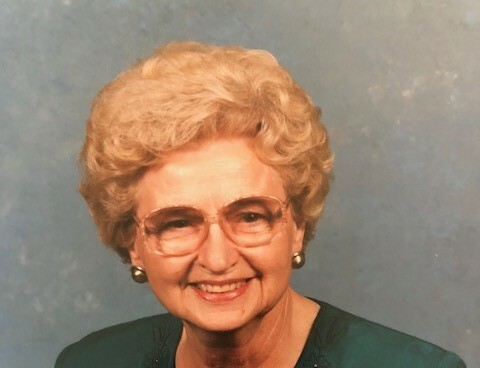 Mrs. Romager was a member of Westwood Baptist Church where she volunteered in Grief Support. She worked in sales at ARA Food Services and for Home Interiors. Mrs. Romager is survived by her sons, James (Connie) Romager and Bobby (Carol) Romager; sisters, Jessie Mae Burnett and Lanice (Ray) Chandler; brother, Jerry (Nancy) Frederick; grandchildren, Patrick (Lisa) Romager, Amy (Trey) VanHooser, Ginger Romager, Julie (John) Cole and Daniel Swindle and ten great-grandchildren. A graveside service will be held Monday, June 11, 2018 at 11:00 am at Crestview Memorial Gardens with a time of visitation beginning at 10:00 am at Crestview Memorial Funeral Home. A special thank you to the staff of Southern Care Hospice and caregivers, Pat Campbell, Valerie Cole, Nikki Dumas and Leslie Parks.